“It bores me to tears if I live in an all white house.” Cathy, the house owner, she laughed and said. From the beginning discussion, designer found Cathy and her husband drew on their bold imagination in color combination, even red match with green! 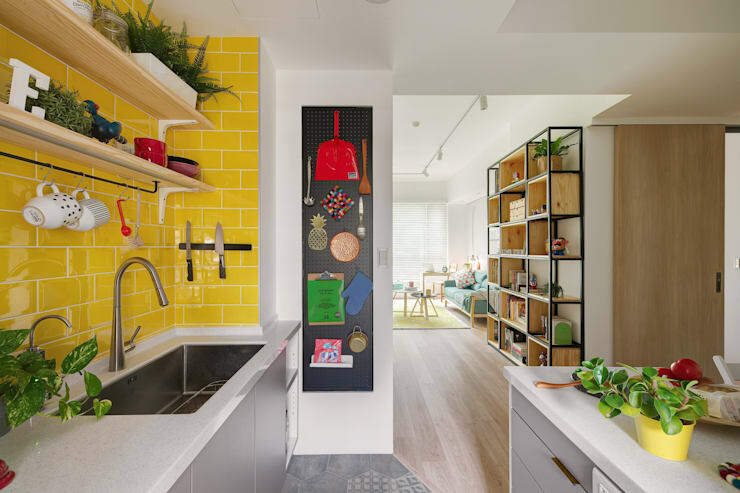 So designer tried any possible color plan match with different materials, hope creating a colorful, energetic, but harmonious special house belongs to them. 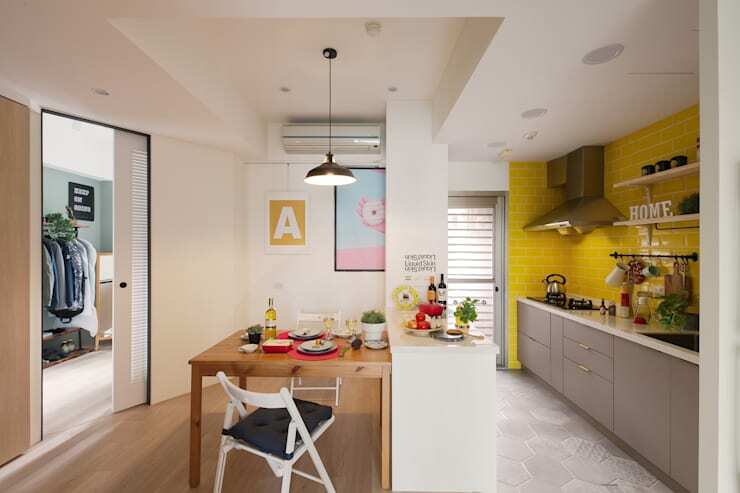 This is a 63m2 pre-owned house located in Taipei Neihu Dist., and there are originally two bedrooms, two living rooms and two bathrooms. 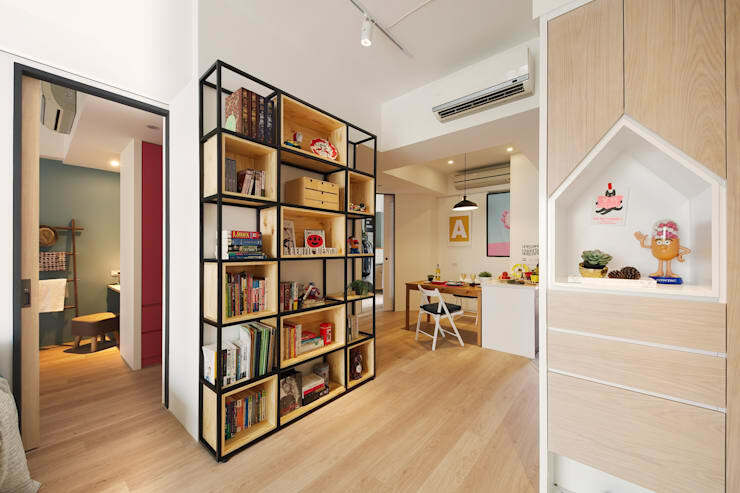 After confirming that there will no new members for future plan, designer plan the floor allocation according to owners’ life habit. Opening up the kitchen to dining room and put kitchen island next to the dining table, and designer arranged storage cabinet makes kitchen simple and clean. 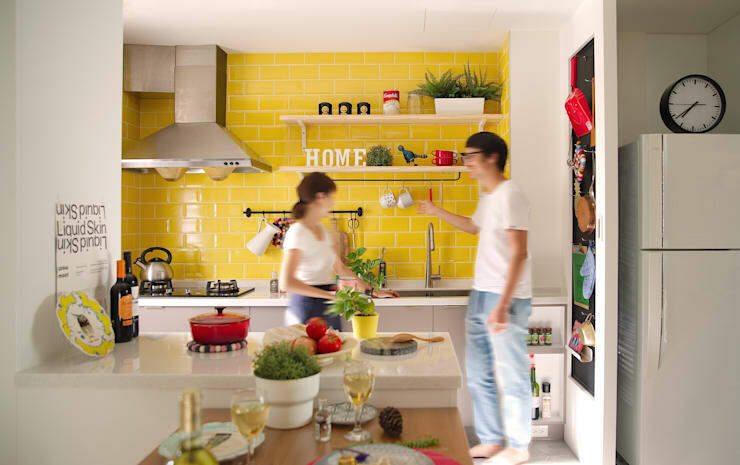 The open shelf is easy to storage and creates a natural life decoration, the space makes cooking be a wonderful thing. 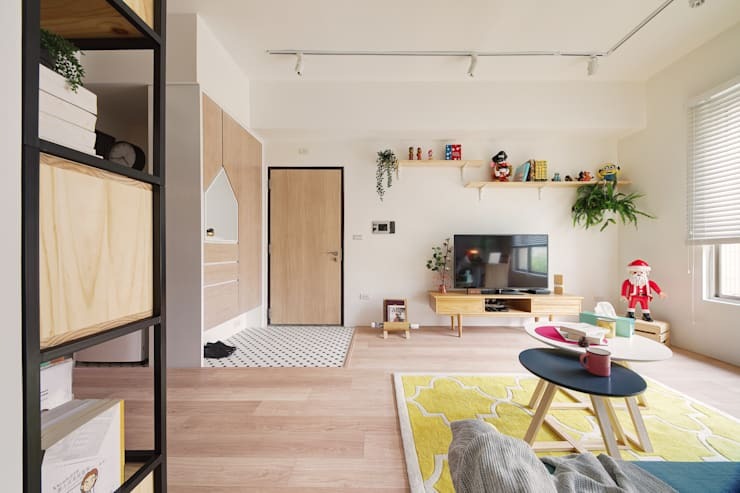 The special point in bedroom is homocentric squared aisle, it makes movement fluently, and it is the favorite part owners chose. On the other hand, to simplify two bathrooms to be one, furthermore arrange functional space to put dressing table and create a dressing room. Designer reset up the position of toilet and washstand, makes space use efficially. An wall built at an angle and make the second room next to bathroom , to avoid any waste of space. 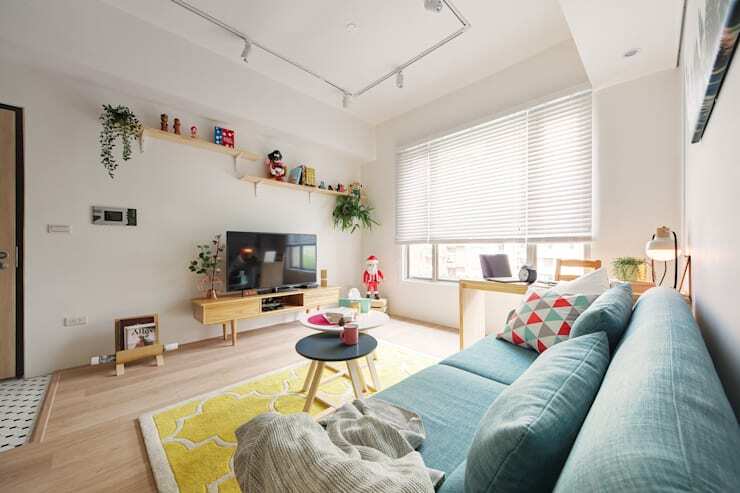 Light is led into the center of house, sun shines through the window to warms house, light and shadow falls on the floor, the delicate space makes life more comfortable. 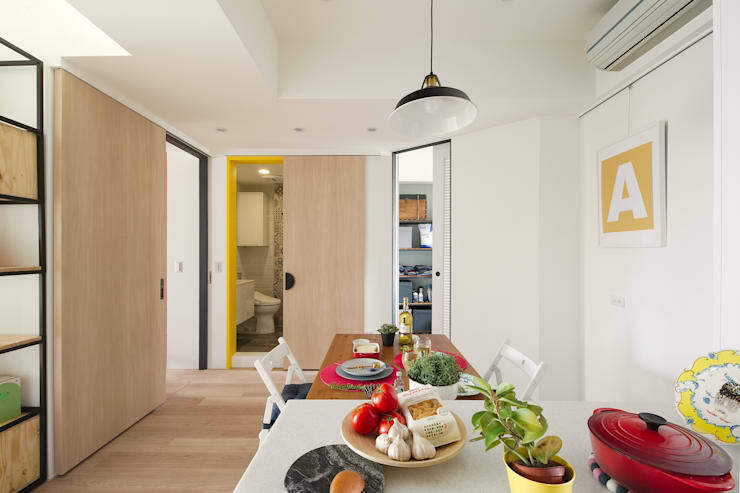 The arrangement makes kitchen and dining room bigger, and extends the vision field to feel wider. 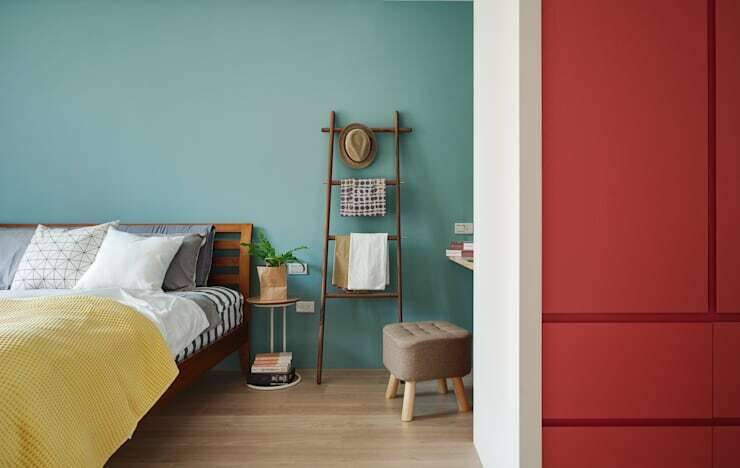 Entering main bedroom, a Lake Green colored wall and Russet Red colored wardrobe catch your eyes, then walk out to the corner of kitchen, color application correlate the yellow wall brick with yellow door frame. Azulejo on the wall of bathroom not only decorates the space but also lights up the mood. Colorful and cheerful combination makes surprise happened every corner harmoniously. 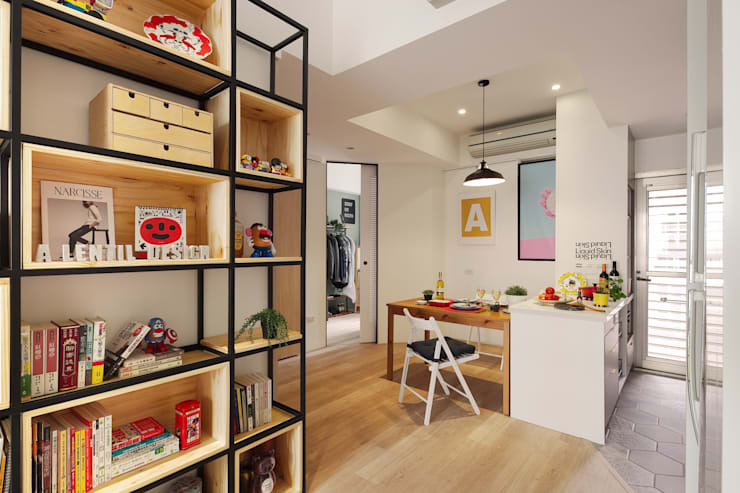 Besides special color arrangement, designer use white and light wood colors math with some black to achieve balance. 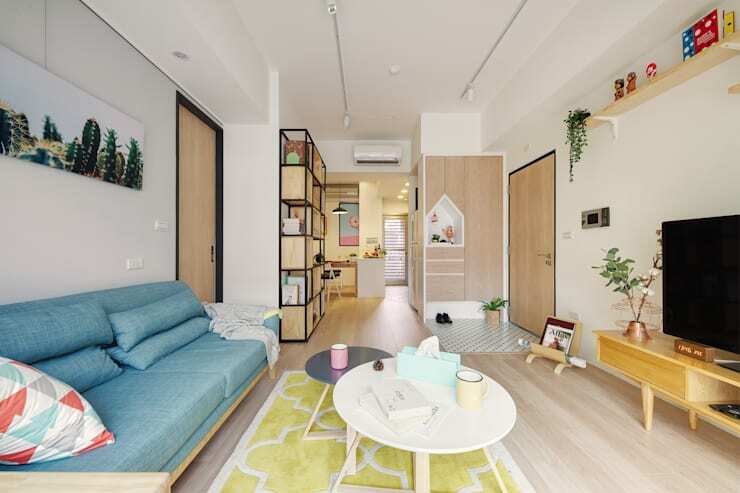 Owners’ friends and family all are surprised with the arrangement and change, “The designer must be a outstanding person.”, Cathy imitates her father said. “I enjoy living in space colors around, it makes me feel relax, comfortable and so good.” Cathy said. It is their dreaming house, a special house belongs to Cathy and her husband.